This book digs deeper into the characters of Cedar Wood and the Wonderlandians. 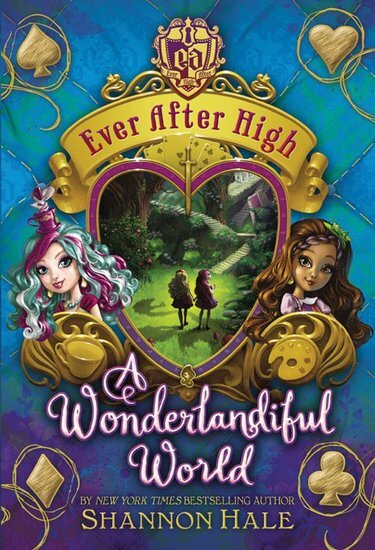 If you don’t know who they are then here are there names: Lizzie Hearts, Madeline Hatter and Kitty Cheshire.A Wonderland curse has struck Ever After High, infecting the high school with strange magic. Students change into animals and objects. The palace mice talk, and the lovely green lawns change to black and white. Lizzie Hearts, Cedar Wood and Madeline Hatter are the only ones untouched. Can they save their friends – and the whole school – from a very unhappy ending?Read the book to find out more.